Can IoT reduce unnecessary road sanding in the UK? A new deployment of Internet of Things (IoT) weather sensors may reduce the amount of unnecessary sanding of roads in Winchester, a city located in the southern coast of the UK. 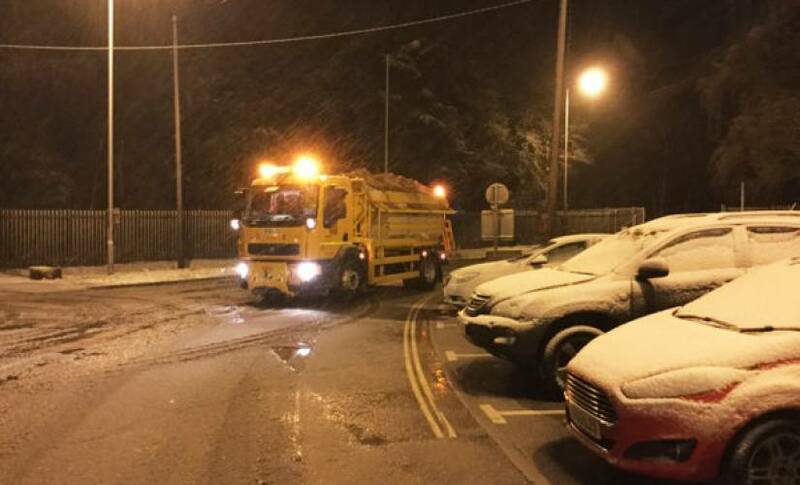 Hampshire County Council is working with a consortium of companies, including Amey, Mayflower, and Libelium, to reduce the amount of grit used in the winter. Mayflower will be deploying the IoT sensors and Libelium is providing the sensor platform. Libelium’s Waspmote Plug & Sense! Sensor Platform, coupled with the Weather Station WS-300 and Smart Agriculture PRO hardware, is able to provide highway maintenance with highly precise and accurate data on the weather near to the highway. This, according to Libelium, “enables highway maintenance teams to make more informed gritting decisions” and reduce the amount of time spent gritting the road. Most maintenance teams still use the Met Office to track the weather, but the tracking data can vary in temperature by up to 15-degrees in some areas. This creates situations where grit is unnecessarily placed on roads. The effects of over-gritting are two fold: it saves the council money to spend on other services and it reduces the carbon footprint, by lowering the amount of vans on the road or awaiting orders. Exact percentages of grit saved have not been publicized, we can expect more information after winter 2017. Mayflower will be deploying several of the IoT sensors onto main highways in the Winchester area. From there, maintenance teams will be able to see temperature, humidity, and other weather data in real-time, through the Sentilo platform, based on Amazon Web Services. Initial outcomes have been “very encouraging”, according to Rob Humby, executive member for the Environment and Transport at Hampshire County Council. The results may push other councils to look at adopting the technology in their own counties. Mayflower and Libelium also see the possibility of expanding to Nordic countries, where the climate is much colder and grit is deployed more heavily in the winter.